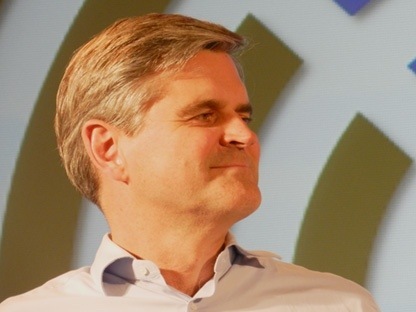 Steve Case, the co-founder of AOL, Revolution, The Case Foundation and the Chairman of the Startup America Partnership, spoke today at the Empact Summit. Empact is an event in Washington DC that promotes youth entrepreneurship and connects innovators of today with future innovators of tomorrow. Case is currently on a nationwide road trip where he is promoting entrepreneurship and Startups across the country. Case finds different ways to drive home the same mission everywhere he speaks. This time around though, Upstart, the startup and high growth division of the Business Journals, , reports that Case is concerned. He doesn’t want the US to get too cocky, as their are other countries that have startup and entrepreneurial ecosystems growing nearly as fast as the US. We’ve seen first hand countries like Israel, Romania, Greece, the UK, and other countries launching startups, and supporting them with accelerators, incubators and of course cash. Case’s life is filled with startups. Outside of launching the widely used Internet service provider, Case’s Revolution, is a venture capital firm that invests in high growth potential startups like ZipCar, across the country. Case and his wife Jean’s philanthropic foundation, The Case Foundation is a founding partner of the Startup America Partnership. Just like keynote at Capital Connection/TechBuzz in May, Case was very supportive of startups outside of Silicon Valley. While Case said that the startup activity in Silicon Valley was “awesome” he also said it was “vital to support entrepreneurial centers around the country”. Are you going to be here?